Having a virtual administrative assistant for your business tasks is the first step towards growth. 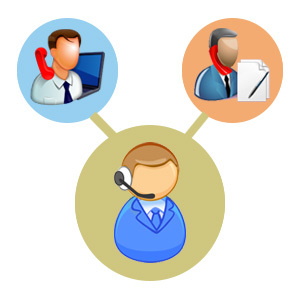 The virtual assistant would be effectively handling the tasks that can consume most part of the day and leave no room for the business owner to focus on other important issues. The virtual administrative assistant handles all the administrative tasks and also can be a powerful resource to handle the office emails and live chats. Since a web store receives customers round the clock, it is important that the live chat be available every time a customer feels the need to have his concerns addressed. Using the live chat has become essential for web store owners because when a person is interested to purchase something but has some doubts, they need to be cleared immediately or else the customer would make the purchase from somewhere else. Letting a customer go to another web store means you have lost him forever and once he gets the thing he desires from someplace else, he will always be visiting it for future purchases and your web store will lose him forever. Since the business owner has many tasks to take care of, he cannot be present to handle the live chat every time. Some business owners think about setting up a team of employees to handle all the tasks within the office. This is a very expensive thing to do and running the office 24/7 is not possible. As you will find less talented people who are willing to work at odd hours, you’ll have no choice but to hire whoever steps up for the job during the night shift. But in the case of a virtual assistant it is extremely easy to find a person willing to work at odd timings. The best thing you can do is hire a virtual assistant from a country that is present in a different time zone. The virtual administrative assistant strong from a different time zone can perfectly handle the live chat when you have night at your place. He will be handle your customers who put in inquiries and will be the perfect tool to help increase your sales and even attend the complaints that are put in by customers. Responding to their issues on time can save you from losing customers and who knows, a customer might bring in a huge traffic by telling his friends about your store because your virtual assistant handled him so nicely. This entry was posted on Wednesday, August 13th, 2014 at 3:44 pm	and is filed under Virtual Assistant Services. You can follow any responses to this entry through the RSS 2.0 feed. Both comments and pings are currently closed.